Add new shapes by right clicking inside the Main View and selecting "Add Circles". 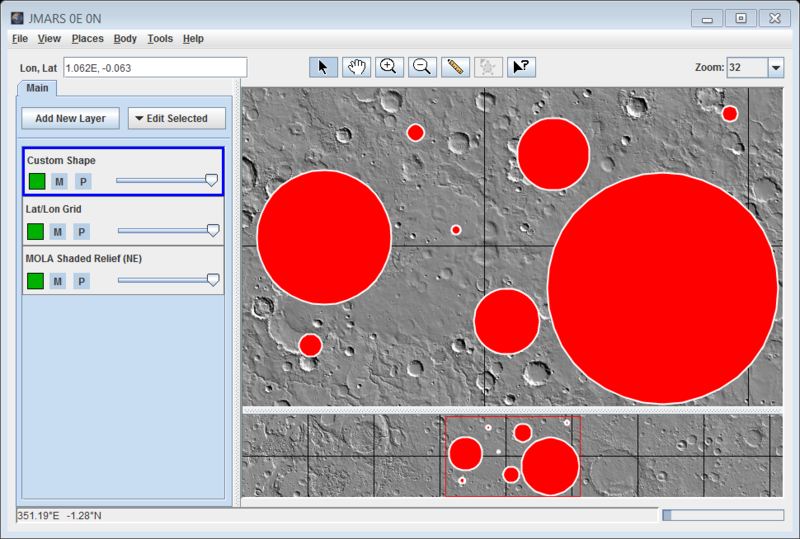 Here we have added circles of different radius ranges. (radius< 50; 50< radius <100; 100< radius <150; radius>200). 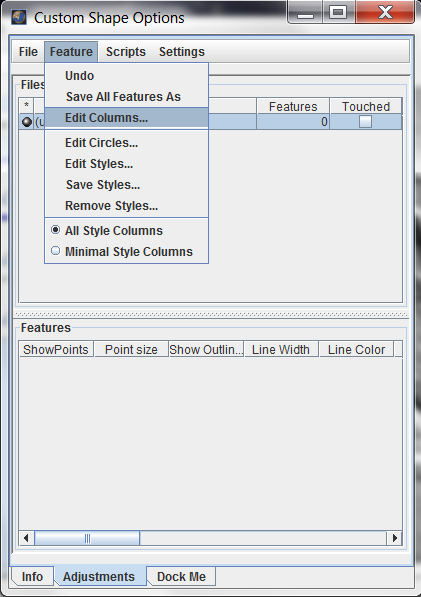 In the new "Edit Columns..." window that opens up, type the name of the new column and select its type from the Type drop-down menu. Click on Add Column. For our case, the name of the columns is new_color and its type is Lookup Table. 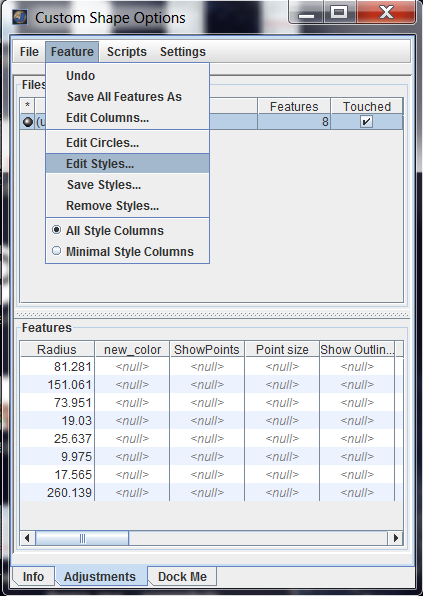 When you click on Add Column, a new dialog opens asking for the lookup table configuration (source and target fields). 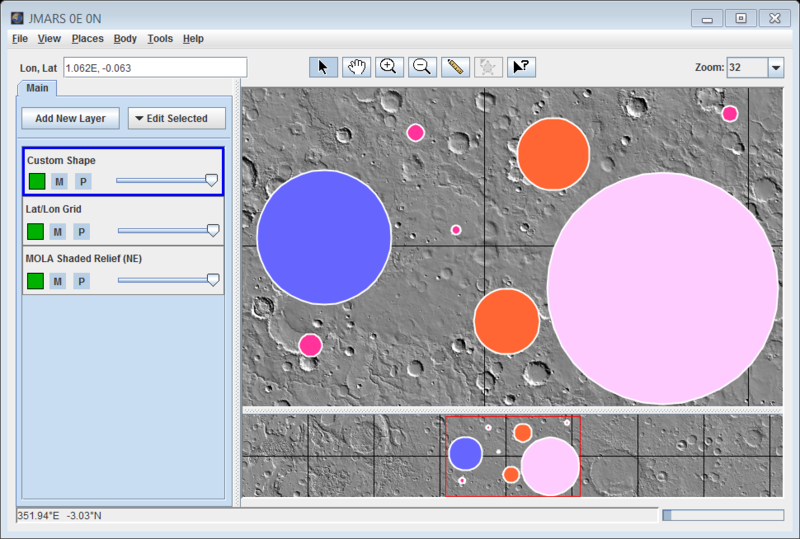 Set the source Filed as Radius and the Target Type as Color for our example. 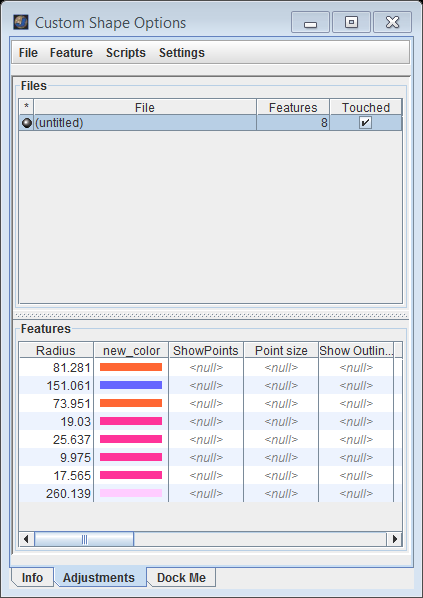 Select Breakpoints from the Operation drop-down menu. Create the lookup table. Make sure that the "Update All Rows" checkbox is selected. Click Okay. 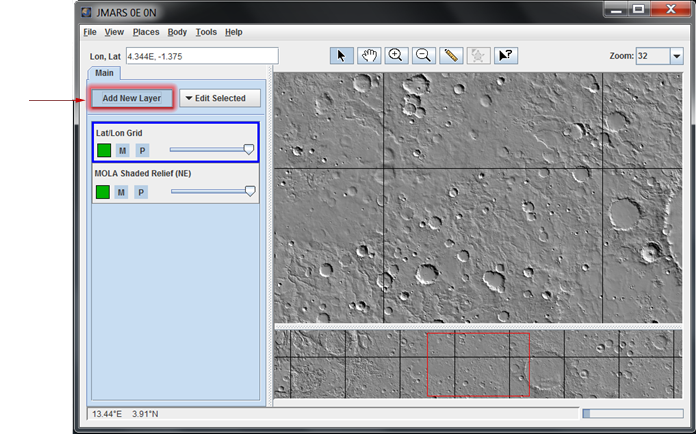 The new column added, "new_color", apperars under the Features in the Shape Layer focus panel. The value for this column is taken from the Radius column depending on the Lookup Table values. 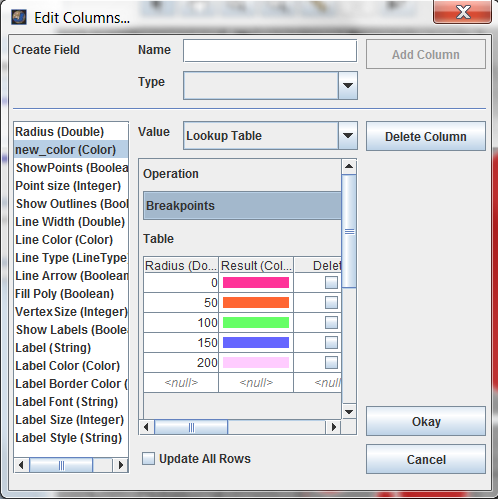 Step 4: Updating the Fill Color of the shapes based on the new columns created. 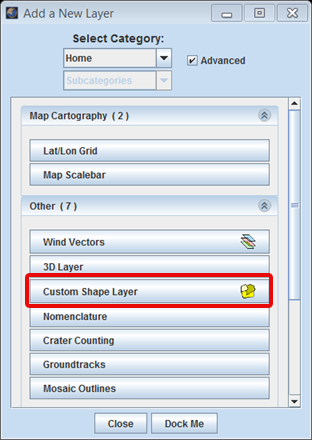 In the Shape Layer focus panel click on "Feature" -> "Edit Styles...". In the new Style Settings that opens up, select the new column name(new_color) from the Fill Color drop-down menu.Click on Save. The fill color of the shapes in the Main View is changed depending on the values under the "new_Color" column. Congratulations! You have finished the thirteenth JMARS tutorial!